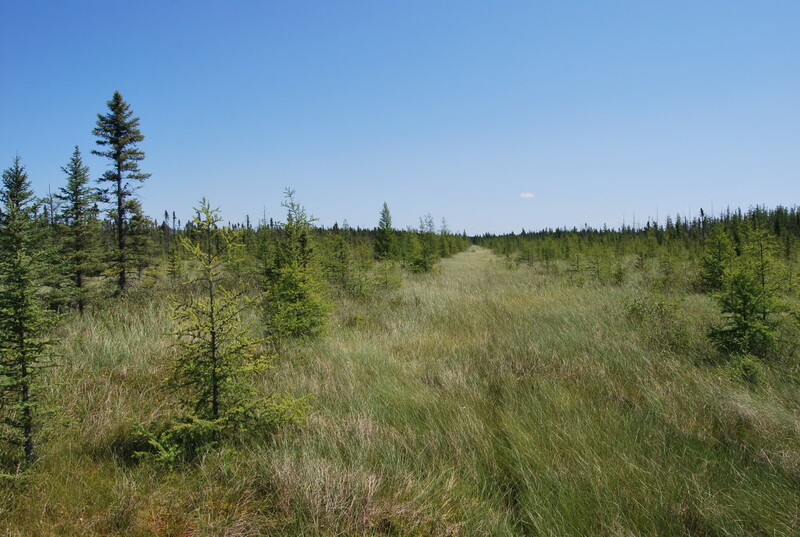 The Big Bog has been called “Minnesota’s Last True Wilderness,” (so have the Boundary Waters and the Northwest Angle, but that’s neither here nor there), but this 500-square-mile peat bog north of Red Lake is truly uninhabitable and impenetrable, but for a mile-long boardwalk installed in 2005. 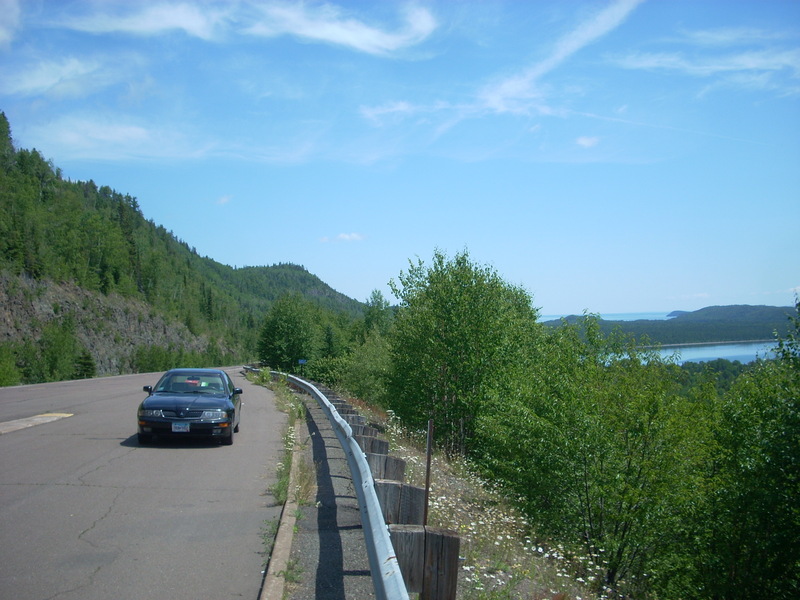 It’s found in a State Park near Waskish, in a truly remote stretch of highway surrounded by swampland and forest. The Bog is the largest peat-bog in the lower 48, and you can take a leisurely stroll through the heart of it at your own pace. The park is separated into two units; the south unit is where you camp, boat, swim, and relax; the north unit features the eponymous Big Bog. 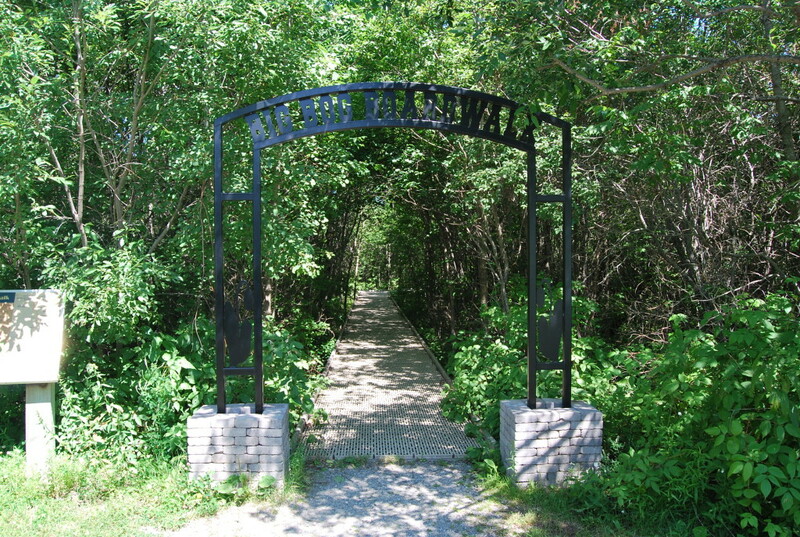 There is a small lake at the entrance of the north unit, a former gravel pit-turned fish-stocked body of water, and the entrance to the Big Bog is found after a short hike past the lake. The boardwalk is an easy, one-mile walk until you reach the terminus where you can enjoy the scenery before heading back. 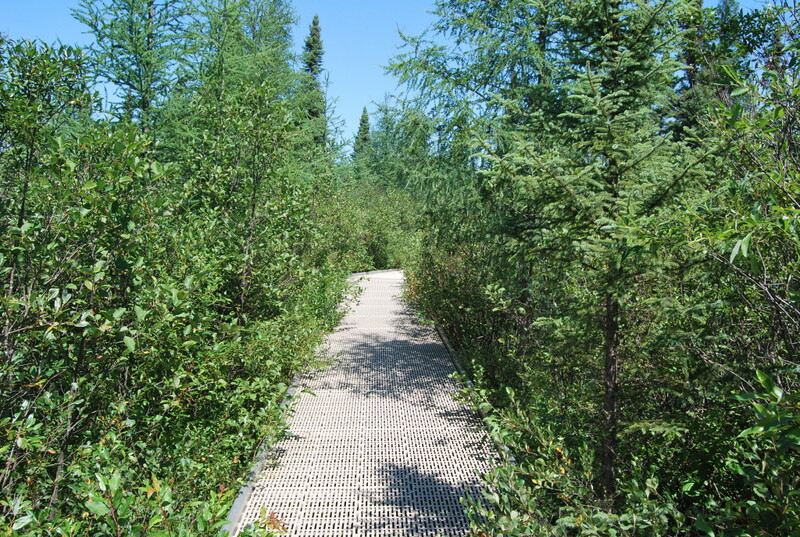 The trail starts out traversing through foliage and shaded areas, before it opens up into a never-ending wilderness of swamp and bog. 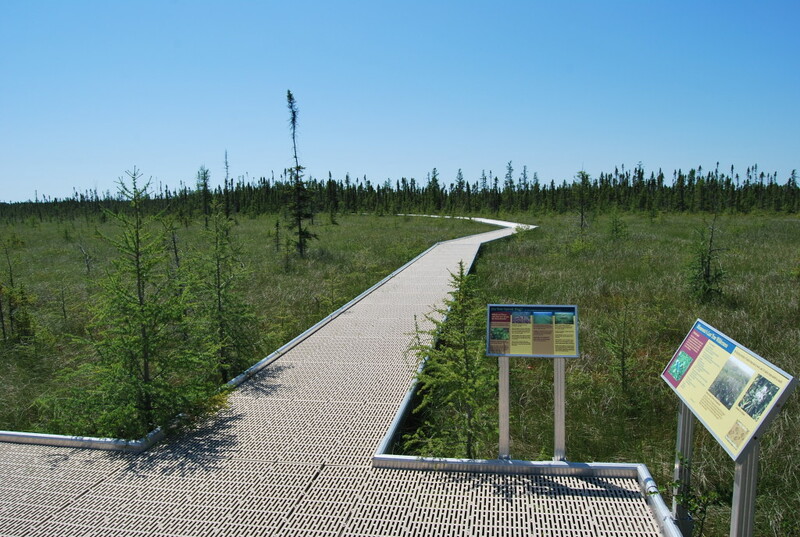 There are many interpretive signs on the boardwalk that explain the unique ecology of the Big Bog, including its history, plant and animal life, and current state. About halfway along the trail, you can see the remnants of an old road (below) that was attempted to be built through the bog back when European settlers tried to drain the bog. Back then it was viewed as a barrier to the rest of the state, although Minnesota’s native Ojibwe Indians held the land sacred as a source of medicinal plants. 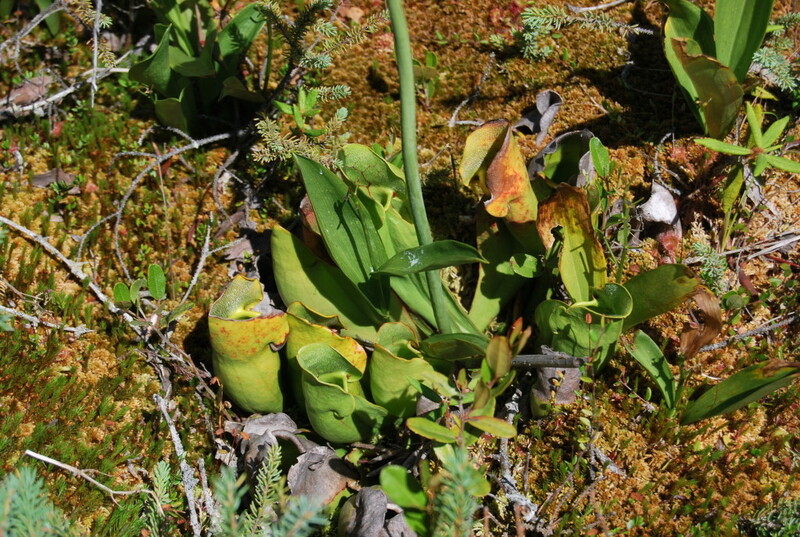 Along the way you learn about the many types of exotic plants that are unique to the Big Bog, including several types of orchids, sundews, and the carnivourous “Pitcher Plant.” (pictured below). This is also a bird-watcher’s ideal getaway, as the Big Bog attracts many different types of birds due to its unique ecology. The Big Bog a beautiful and fascinating biome, although on the day we traversed the Big Bog in late July, it was sunny, hot and humid, so I would recommend bringing adequate water; we did not need bugspray whatsoever surprisingly. 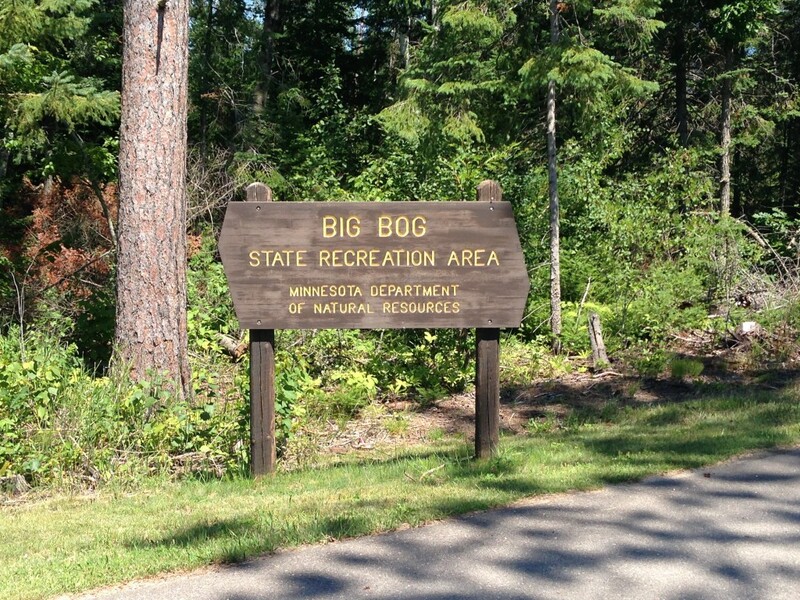 The boardwalk is located at Big Bog State Recreation Area about a half-hour north of Bemidji. If walking along a mile-long boardwalk through a dense jungle of swampland is your thing, then this is truly one not to be missed. 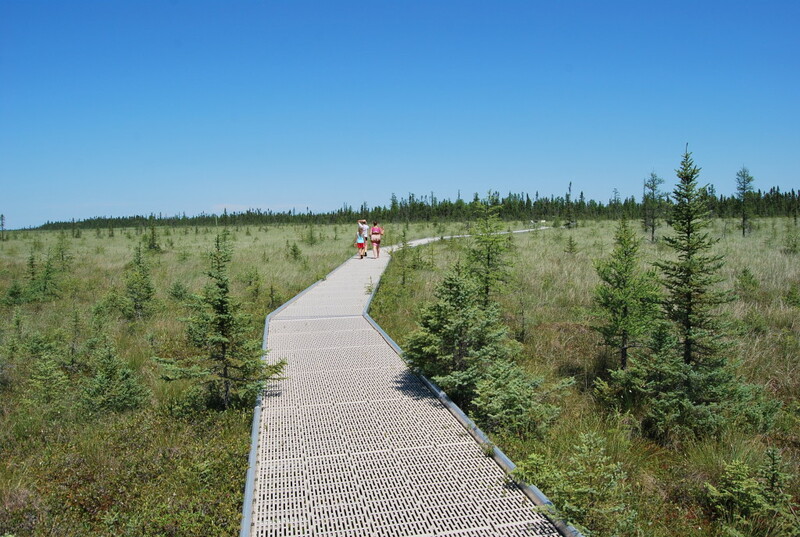 While in the area: The Big Bog isn’t too far from another unique hiking experience: The Lost Forty. Or of course there is all the fun of Bemidji, seeing Paul and Babe, the Fireplace of States, or check out the Concordia Language Villages.